If you feel that the Huawei Mate 9's screen is too low-res for you, or simply too big while the Mate 9 Pro's is too small, the Chinese company now has a solution for you. 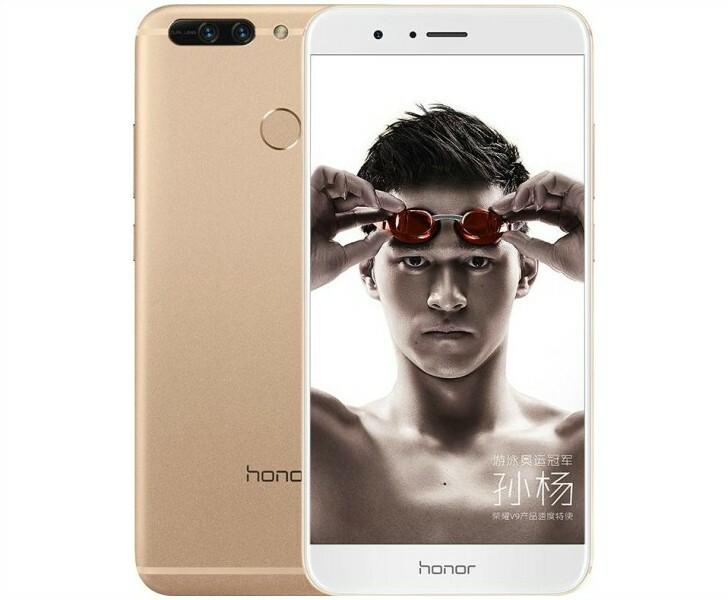 It's called Honor V9, and it's the new flagship offering from Huawei's online-only sub-brand. The Honor V9 was unveiled at an event in China today, just as expected. It comes with a 5.7-inch QHD LTPS LCD touchscreen, and dual 12 MP + 12 MP f/2.2 cameras on the back (one sensor is monochrome like in all of Huawei's dual arrangements) with laser autofocus, LED flash, and 4K video capture. For selfies there's an 8 MP f/2.0 camera on the front, and the handset is powered by Huawei subsidiary HiSilicon's latest and greatest chipset, the Kirin 960 (as seen in the Mate 9 series). It's aided by a whopping 6GB of RAM, while internal storage is either 64 or 128GB depending on which version you buy. A microSD card slot is naturally in for expansion, but it is of the hybrid variety - so you either use two SIM cards with the V9, or one SIM card and a microSD. The phone has a beefy 4,000 mAh battery and it runs Android 7.0 Nougat underneath Huawei's EMUI 5.0. Its dimensions are 157 x 77.5 x 6.97 mm, and it weighs 184g. In China it's priced at CNY 2,999 ($435 or €413) with 64GB of storage. That's the model that will be released first, in blue and gold. 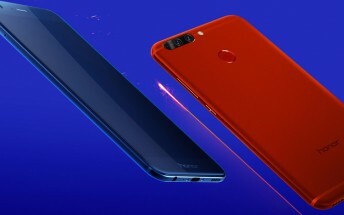 You can already make a reservation for it through Huawei's online store if you're in China, and the device will be out on February 28 - so in exactly one week from today. 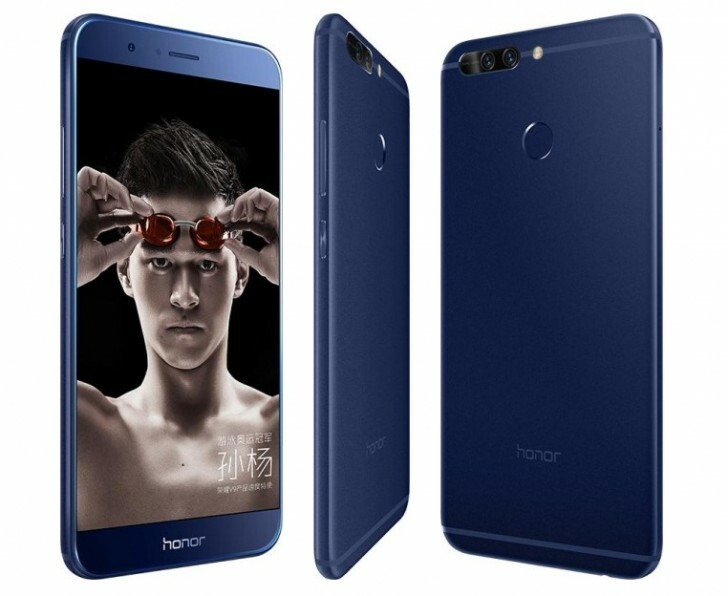 The Honor V9 will be called Honor 8 Pro in markets other than China. There's a chance that it will get an international unveiling at Mobile World Congress in Barcelona on February 26.